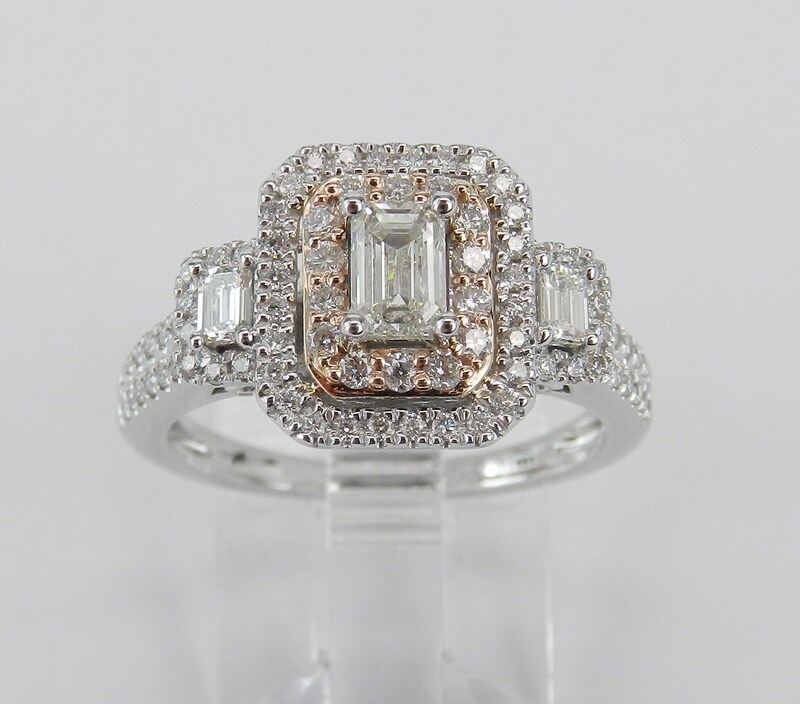 14K White and Rose Gold Emerald Cut Diamond Three Stone Engagement Ring. 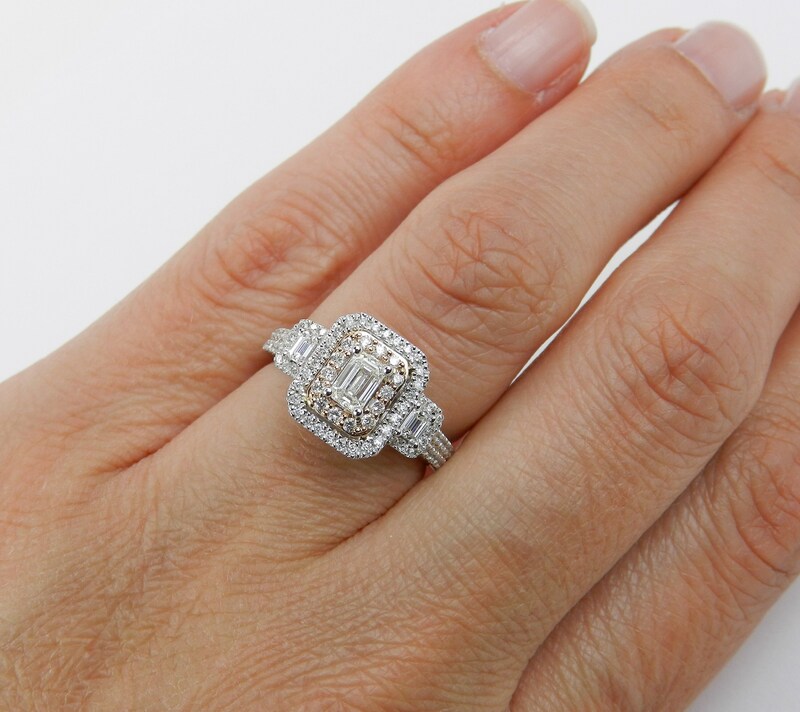 This ring is set with one Emerald Cut Diamond in the center. This diamond is H color, SI1 clarity and weighs .30 carat. 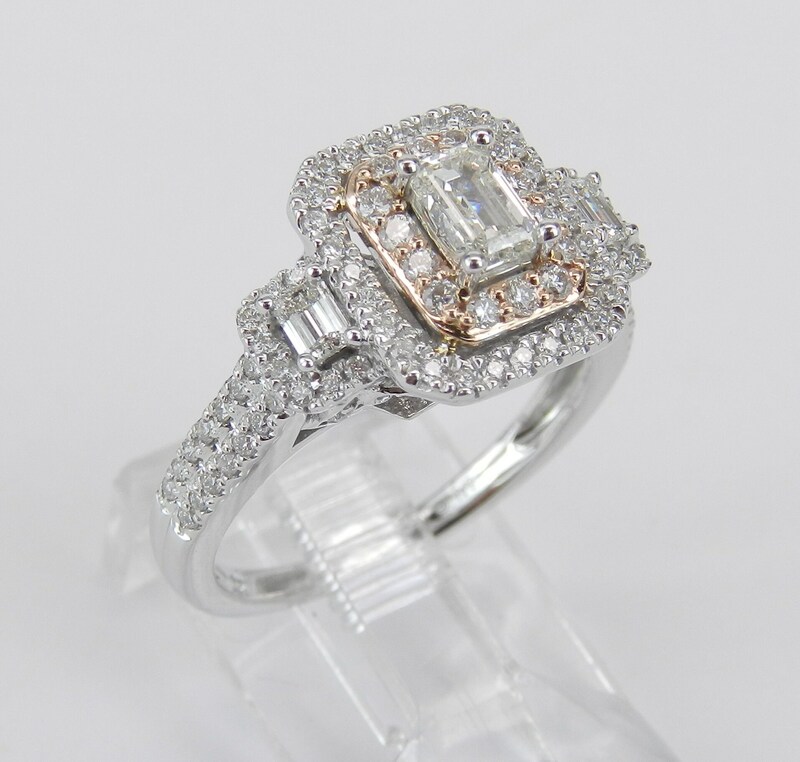 There are two Baguette side Diamonds and eighty-four Round Brilliant Diamonds set in this ring. 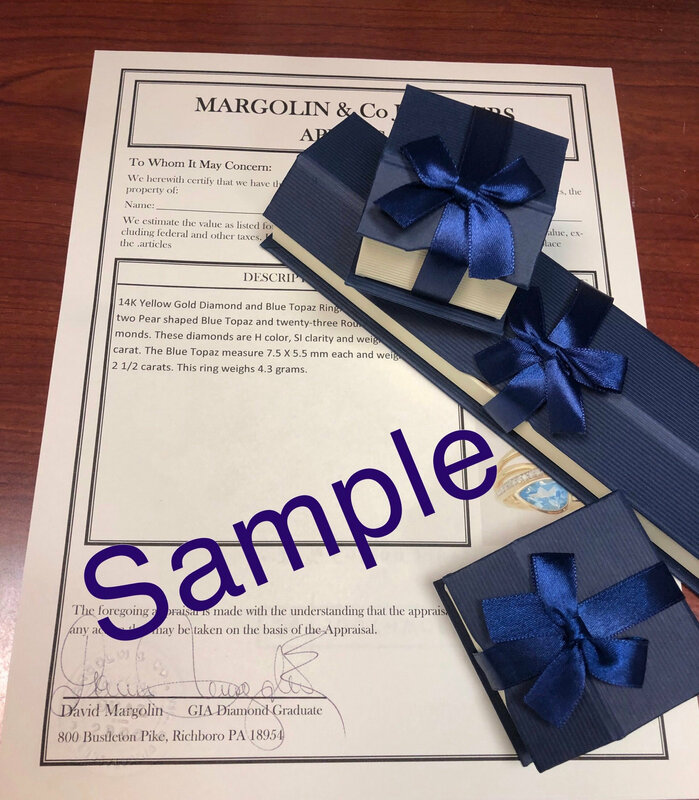 These diamonds are G/H color, SI1/VS clarity and weigh a total of .70 carats. 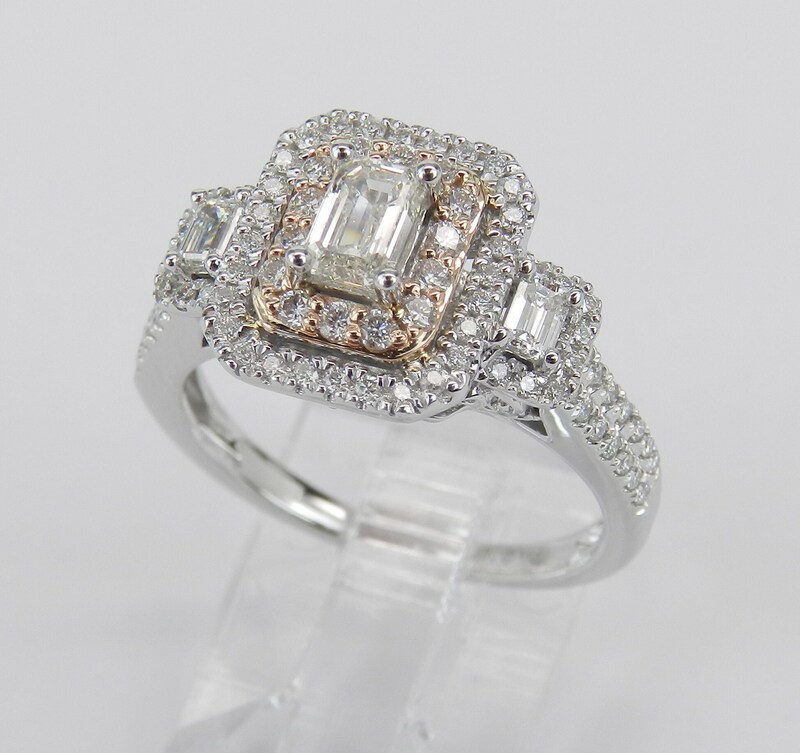 This ring is 14KT White Gold with Rose Gold accents and weighs 4.5 grams. 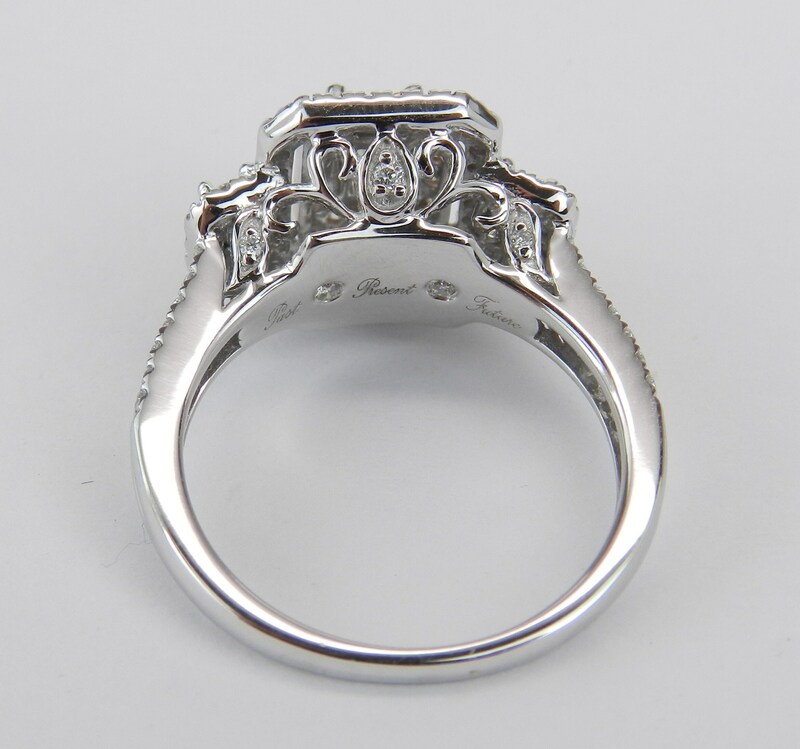 This ring will be accompanied by an appraisal with the retail replacement value of $3,285.00. I will ship this ring promptly in a gift box.